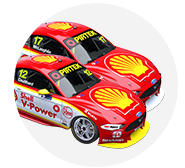 Fabian Coulthard is making no excuses for being outshone by team-mate Scott McLaughlin in qualifying this season as he aims to get his title assault back on track at Ipswich. 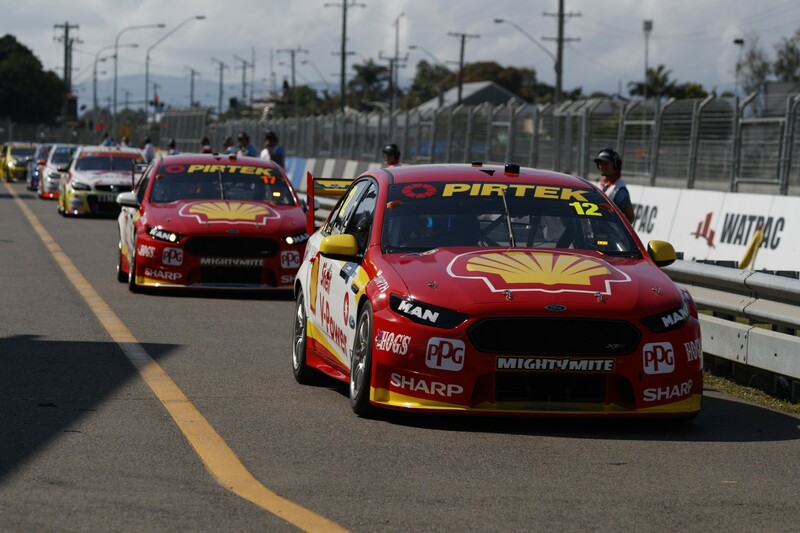 Coulthard endured a shocking Townsville, dropping from the championship lead to 158 points behind team-mate McLaughlin at the championship’s halfway point. The #12 Shell Ford was involved in costly incidents on the opening laps of both races after Coulthard qualified just ninth and 12th over the respective days. McLaughlin by contrast scored pole for both races and now boasts nine for the season as well as a string of 12 consecutive front-row starts. Coulthard has been off the front-row for each of the last seven races, making it a tough task to out-race the flying McLaughlin. While much has been made of Coulthard’s plummet from the points lead, finding improvements in qualifying is the main focus for Ipswich. “For us all year we haven’t been able to maximise a new tyre,” Coulthard told Supercars.com of the situation. “When you look at the qualifying record, it’s an area we need to work on, but the race pace is no drama. We just need to make the car a little bit nicer for me in qualifying. “It’s just a feeling thing. I don’t think I’m the only one struggling with trying to get a good qualy lap in, I think it’s across the board. “The tyre is different (this year), the set-up is different, but I’m not making excuses. “Scott is doing a far better job than I am in qualifying and it’s one area I need to understand and work out why I’m not at least next to him on the grid. Coulthard said his crew “threw lots of things at it” in Townsville but couldn’t find a set-up that gave him confidence under brakes. While stressing the close working relationship between the two sides of the Shell V-Power garage, Coulthard said it’s not as simple as bolting in McLaughlin’s settings. “Scotty had all Friday (in Townsville) to work with it, understand it and fine-tune it and then I had two laps, basically (in Saturday qualifying), which isn’t a great recipe. That’s just life. 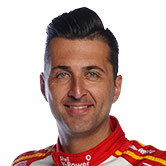 A strong Friday could therefore be key to Coulthard’s chances at this weekend’s Coates Hire Ipswich SuperSprint. Turning 35 on Friday, Coulthard downplayed suggestions that testing at the venue earlier last month will help him dial the #12 Falcon into the circuit. “I don’t think there’s such a thing as a home track advantage anymore,” he said. “We’ll go there with a set-up and an idea, but every time you go there it’s different. “The weather can play a huge part, it’s hot during the day and things like that.